Back in October we praised Satechi for remedying the 12-inch MacBook’s shortcomings with a slim USB-C dock that expanded the laptop’s connectivity options. We also lamented the dock’s lack of a pass-through USB-C charging port, which Satechi has thankfully already fixed. 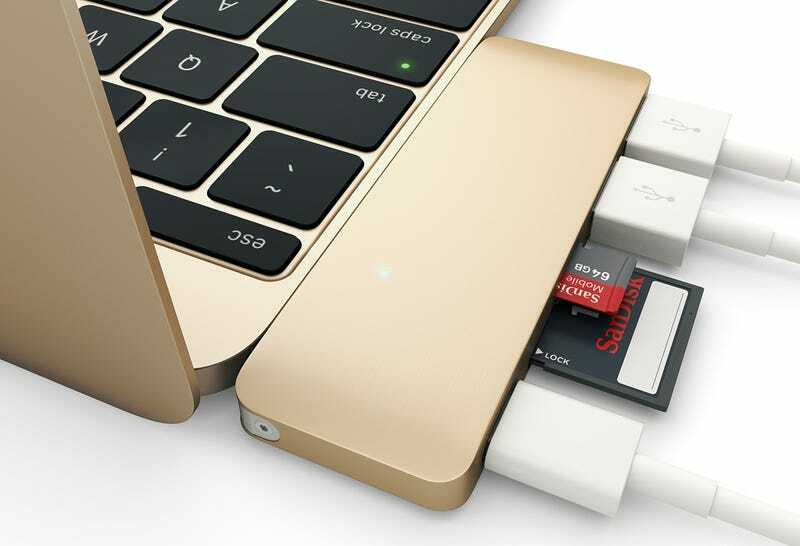 Satechi’s updated version of its USB Type-C Hub adapter replaces one its three classic USB-A ports with a USB-C port so that you can continue to charge your 12-inch MacBook, or other devices with a USB-C power adapter, while it’s connected. It keeps the SD and microSD card slots, and even two classic USB-A ports are still quite useful. It’s a small change that ups the hub’s price tag from $34 to $40, but one that makes this USB-C adapter a must-have add-on for anyone suffering with the 12-inch MacBook’s single port shortcomings.